The Purple Pipe Company obtains its water from the Regional Water Quality Control Plant in Palo Alto. 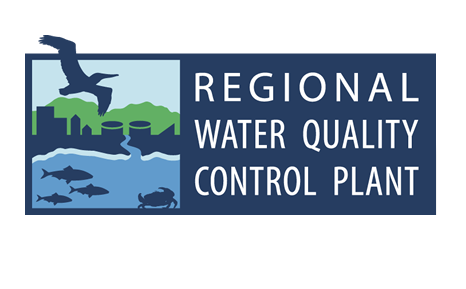 The Regional Water Quality Control Plant is owned and operated by the City of Palo Alto for the communities of Palo Alto, Los Altos, Los Altos Hills, Mountain View, Stanford University and the East Palo Alto Sanitary District. The plant is an advanced treatment facility that uses gravity settling, biological treatment with microorganisms and dual media filtration to remove unwanted organic materials and toxins from the approximately 22 million gallons a day of wastewater generated by the service area’s 220,000 residents. The plant’s treated effluent meets all of the stringent requirements for discharge to the sensitive South San Francisco Bay. Primary treatment (screening and sedimentation) is a gravity process that allows solid matter to either float to the top or settle to the bottom and is then removed. Secondary treatment (biological treatment) uses bacteria to digest dissolved organic matter and small waste particles that are too light to settle out. As these bacteria eat and grow, they fall to the bottom, leaving water that is at least 95 percent pure. Tertiary treatment (u/v and chlorine) uses a multi-layered filter bed (sand and coal) to remove any remaining suspended particles. Then water receives U/V treatment and then gets disinfected with chlorine, which destroys bacteria, viruses, and other pathogens. The water is 99 percent pure at this state and meets or exceeds many drinking water standards. For more information regarding the treatment process, please visit the Palo Alto Regional Water Quality Control Plant’s website. Dual Media Filtration: filters out particles in the water using different types of filter media, usually sand and finely granulated anthracite (a type of coal). Granular Activated Carbon (GAC): is a form of carbon that is processed to be porous, with large surface area for absorption and chemical reactions. GAC can remove halogenated compounds containing chlorine and fluorine, organic contaminants, odor, and taste. Micro-filtration (MF): filters out contaminants from water using semi-permeable membranes. MF membranes can remove particles as small as bacteria. Ultra-filtration (UF) membranes have smaller pore sizes and can remove particles as small as viruses and proteins. The Palo Alto Regional Water Quality Control Plant may implement MF or UF in the future. Reverse Osmosis (RO): removes dissolves salts and most contaminants from water. Pressure forces the water through a semi-permeable membrane that transmits the water but stops most contaminates from passing through. RO membranes have smaller pore sizes than micro-filtration and ultra-filtration membranes. Advanced Oxidation Process (AOP): breaks down organic contaminants in the water by oxidation. AOPs typically use hydrogen peroxide (H2O2) and ultra-violet (u/v) light. Soil Aquifer Treatment (SAT): occurs when recycled water travels through the ground and is purified by the physical, chemical, and biological processes that naturally occur in the soil.